Did you know you can enroll to have your water/utility bill emailed to you every month? 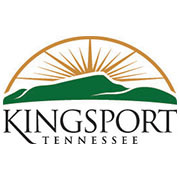 In response to residents requesting to go paperless for their monthly water/utility bill, the City of Kingsport is pleased to now offer residents this service. Not only is the paperless service more convenient for customers and environmentally friendly, it is also helping the city cut costs. Each month, roughly 35,000 residents receive a paper bill costing the city $17,000. If just 25% of city residents signed up for the paperless billing, it would save the tax payers over $52,500 a year. Sign up through your ‘Click2Gov’ account. Sign up over the phone by calling the Customer Service Department at 423-245-1019. Sign up by visiting the Customer Service Department at City Hall, located at 225 West Center Street. For more information on paperless billing for your water/utility bill, please call 423-245-1019.